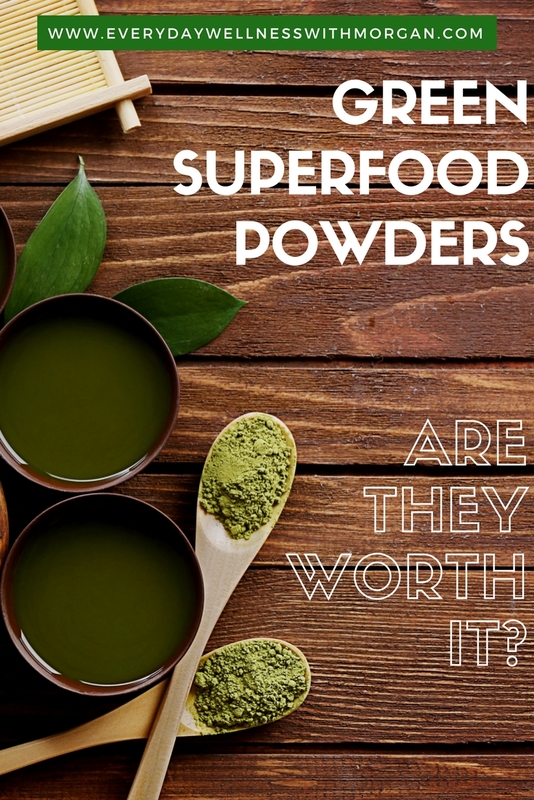 Green Superfood Powders – Are They Worth it? I love vegetables. I could eat broccoli and green beans at every meal and be completely happy! But I also realize that most people aren’t like me and that it can sometimes be unrealistic to be eating fresh vegetables all the time. As a health & wellness coach, I don’t have much time to sit down and eat. 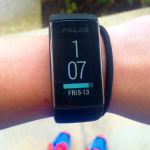 Most of my meals need to be quick (and by quick I mean under 5 minutes between clients!). So when I know I have a busy day and don’t have time to sit down and eat my veggies, I drink them instead! Now I’m not talking about juicing, or blending broccoli into a smoothie (yuck!). I’m talking about superfood powders! 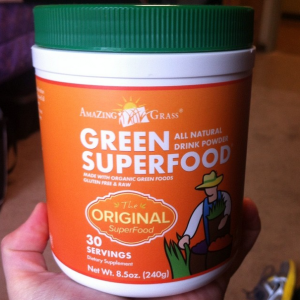 I have been a superfood powder fan for a while now. At first, I used to just drink them at the first sign of a cold. A few consistent days of drinking these concoctions and my symptoms vanished! But that got me thinking…why wait until I start feeling sick? Why not drink these all the time for maximal health benefits? Whenever I am very consistent with my superfood powders and drink them daily, I can always tell the difference. My digestion is so much better, my skin is clearer, I have more energy, and I rarely get sick. All of this from one simple powder?I’m in! Let me first talk about the Nature’s Greens powder. This product is only sold at Nutrishop. According to their website, “Nature’s Greens™ is a great tasting, all-natural, convenient and effective whole food solution made with certified organic ingredients and loaded with over 60 nutrient dense “superfoods” that are scientifically blended to provide you with vital, extra-rich “phyto-nutrients” found in the most nutritious vegetable sources on earth.” Nature’s Greens is organic and uses freeze dried produce in order to preserve its nutritional profile. Now most importantly, the taste. This product can be the best thing in the world for you, but if it tastes gross, nobody is going to use it! But it surprising tastes good! The product claims to be a green apple flavor, which you can actually pick up a bit from the smell. The product gets a 10/10 for mixability, which is a big deal because drinking a clump of superfood powder is not fun!! I mix mine with just 8oz of water and I actually like how it tastes. Don’t get me wrong, it definitely tastes “green” and a bit “earthy”, but it also has that hint of green apple which makes it completely tolerable, and actually enjoyable to me! If you can’t mix it with just water, try blending it into your smoothie! What I like about this product is that it comes in many different flavors! I like the original flavor, but this is definitely the “earthiest” tasting of them all. It also comes in flavors like berry, chocolate, orange dreamsicle, and pineapple lemongrass. 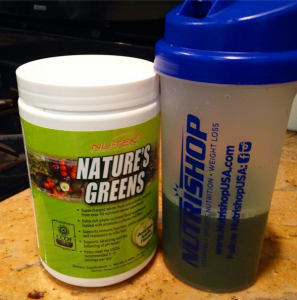 Each flavor varies slightly with the amount of greens it contains, how sweet it is, and the amount of caffeine. If you’re unsure which flavor to try, I highly recommend purchasing a sampler pack to try them all (here). This powder is slightly grainer than the Nature’s Greens powder, and I find that it clumps a bit easier too. You can easily get around this by mixing it up in a shaker cup that has a wire ball. I love this powder mixed into a fresh glass of juice or blended into a smoothie. Now if the thought of drinking something this green is grossing you out, don’t panic! 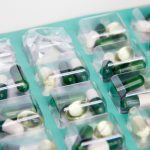 You can get all the benefits of these powders in simple capsule form. These Amazing Grass capsules contain the same ingredients as their powder counterpart, are absorbed quickly by the body, and have zero taste! Triple win! So there you go! All of these products will help you achieve the recommended 5 to 9 daily servings of fruits and vegetables. I obviously don’t recommend that you only use these powders and not eat any vegetables. But for days that its either no veggies or this, I’d much rather supplement them!